Maryam Mirzakhani is the first woman ever to receive a Fields Medal, often considered to be mathematics’ equivalent of the Nobel Prize. Image Credit: Flickr. My personal interest in the field of mathematics was pretty much non-existent until this week when Iranian-born Maryam Mirzakhani became the first woman ever to win the prestigious Fields Medal, considered to be the equivalent of mathematics’ Nobel Prize. That fact is also something I had no idea about until this week. The decision to award Mirzakhani undoubtedly places the spotlight not only on the field of mathematics itself, but the lack of women in it. The Fields Medal is given every four years, you can only be awarded it once, and all past 52 medalists have been men. Thankfully, the latter part changed forever when Mirzakhani, currently a professor at Stanford, became one of four winners awarded this week at the International Congress of Mathematicians in Seoul, South Korea. Mirzakhani says math sparked her interest initially by posing just as a challenge before she slowly began understanding its vast value. Although she describes growing up during war-time Iran in the late 1970s as ‘difficult’, she stipulates the great options that presented themselves in her motherland post-war. “I had a lot of opportunities and benefitted from the fortuitous timing that I was a teenager when things became more stable,” she said. 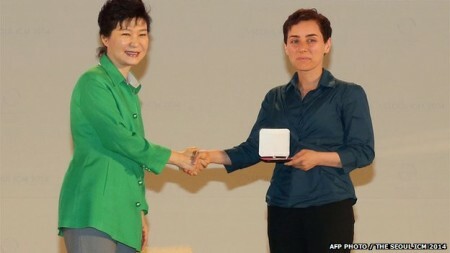 Maryam Mirzakhani receives her award from South Korea’s President Park. Talk about two pioneering women. Image Credit: Flickr. 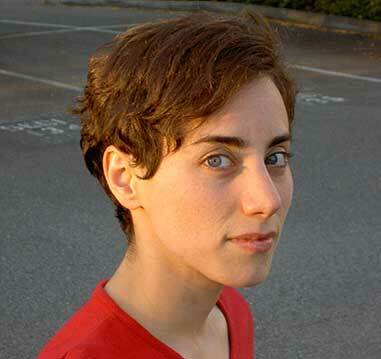 Mirzakhani completed high school and her undergrad in Tehran before going on to get her PhD from Harvard University. She was a research fellow and professor at Princeton University until accepting her current post at Stanford. The Fields Medal is not her first award either. 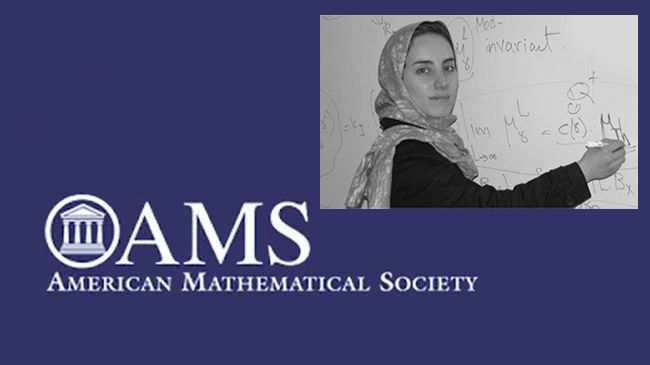 Her brilliance was noted in her teens when she won gold at both the 1994 and the 1995 International Mathematical Olympiad, and was the first Iranian to complete the competition with perfect results. “Mirzakhani’s success was hugely symbolic and I hope it will encourage more women to get into mathematics because we need more women,” the president of the International Mathematics Union (IMU), Ingrid Daubechies said. 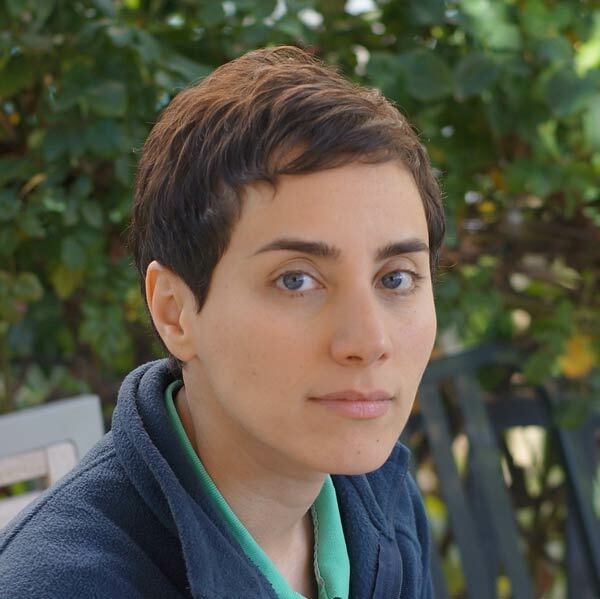 Maryam Mirzakhani completed her doctorate these on the “Simple geodesics on hyperbolic surfaces and the volume of the moduli space of curves in 2004. Image Credit: Flickr. With Maryam Mirzakhani’s win this week, things are already transforming in the academic fields of science, technology, engineering, and mathematics (STEM) for women and girls. Mirzakhani is noted for “her outstanding contributions to the dynamics and geometry of Riemann surfaces and their moduli spaces,” and is considered a pioneer on the “dynamics and geometry of Riemann surfaces,” according to Mic.com. That Mirzakhani achieved something in 2014 that no woman ever has done before her is in itself great. But it is no small detail that she is Middle Eastern, and of Iranian descent. 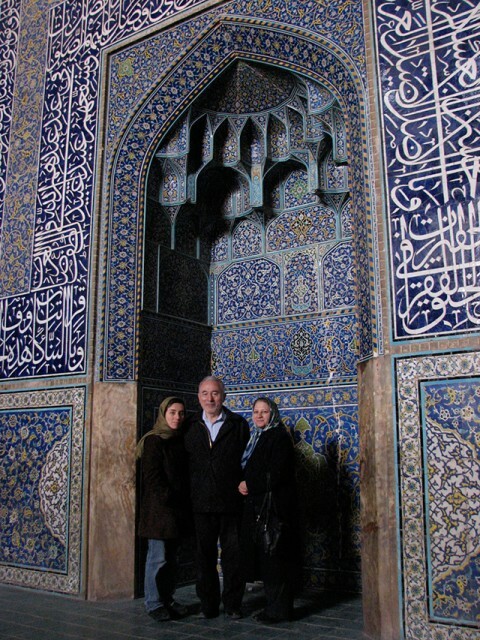 Mirzakhani with her parents visiting the historic sites of Isfahan, Iran. Image Credit: Flickr. Just the mere existence of her accomplishment shatters so many stereotypes of women in the majority Muslim, currently war-torn region. Mirzakhani demonstrates how Iranian women, and their Middle Eastern peers, are not passive and unintellectual, but ground-breaking and brilliant. These are the kinds of stories the world needs to hear more from this region about, and especially about women. With political turmoil and wars engulfing the region, the majority of the images shown in western press largely portray women and girls from the Middle East as victims, covered in their black chadors and veils, fleeing from violence, making up the majority of refugees. Imagine the message that is sent to women and girls with Mirzakhani being awarded such a prestigious prize. The image of her on the stage receiving her honor from President Park Geun-Hye, the female head of state of South Korea, herself a pioneer for women, reminds us that we are breaking barriers across the board, around the world. 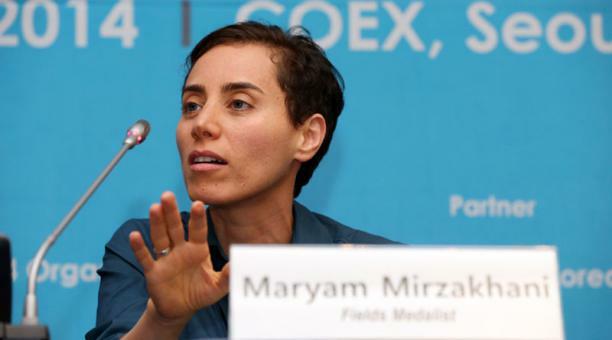 Mirzakhani speaks in Korea after accepting the Fields honor. Image Credit: Flickr. Maryam Mirzakhani shows us not only that there needs to be more women and girls in the academic disciplines of STEM, but that also we should not fear to go where not many women went before us. Her win gives women and girls the message that not only can we enter these fields, but we can succeed and thrive in them, too, breaking century-old assumptions that women are naturally weak in math and sciences when in reality our accomplishments can make history. With Maryam Mirzakhani to look up to, women and girls can be encouraged to pursue and master a field that remained closed to them for far too long. Thanks to her, a major glass ceiling in mathematics has been shattered for women and girls everywhere. *This post of mine was also published on Forbes Woman & The Huffington Post. How horrible that no women won the prize before — because they didn’t bother to go into mathematics, but instead became “feminist policy analysts”, whatever that is. I guess it means complaining about the lack of women in mathematics, instead of actually going into mathematics and thereby increasing the number of women involved in the field. . . .